There’s a woman I met when I was a child who had a tremendous influence on my faith. Was she rich or famous? No, not at all! 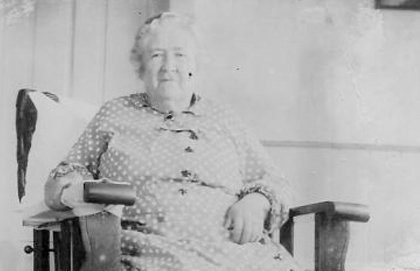 Sarah Maude Shepherd, my great-grandmother, lived on a tiny Bay of Fundy island in a small, neat house with no electricity or running water. Her husband, Caleb, was away from the family home for several months of the year, leaving her to take care of their eight children. 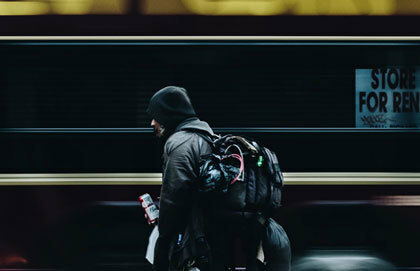 In her lifetime, Sarah travelled little except to follow the dirt path that led to the middle of the village or make her way to the church to worship God. Unfortunately, Sarah Maude died before my fifth birthday and shortly afterward I also moved away from my island home. For years, she was only a name in a long list of relatives. However, I renewed her acquaintance when, a few years ago, I attended a family reunion and asked her children and neighbours about her life. “Can you tell me about Sarah?” I asked Sarah’s youngest daughter, Lila, my 102-year-old great-aunt. “Did you know my Great Gram?” I asked Walter Wilcox, an elderly cousin. Relatives told of the grief Sarah suffered when Irene, her second daughter, died just days before her wedding and how her son, Wilfred, died of heat stroke while serving with the British forces in Mesopotamia during World War I. One relative shared how the whole community was saddened when Caleb, her husband, and Charlie, her youngest son, died on the same day. On Sunday afternoon, the last day of our family reunion, young and old gathered at the Seal Cove wharf to take a fishing boat, the Island Bound, over to Wood Island for the yearly church service. No one has lived on the island since the late 1950s. The homes were gone and all that remained were the memories, like the fluff of a dandelion, just a hint, an outline of what had once existed in this place. Slowly I made my way up the dusty path leading to the small white church in the center of the island. It stood tall and erect like a monument to the people who lived in this once vibrant fishing community. My cousin, Arlene, played the old pump organ for the service and as she coaxed music from its keys, I joined the congregation in singing the familiar songs, Amazing Grace, In My Heart There Rings a Melody. Slowly a portrait of my great-grandmother began to emerge. Gram faced the many trials in her life because she had a deep faith. And when we sang Let the Lower Lights Be Burning, I knew I had discovered her legacy to me. Despite the tragedies in her life, Sarah believed God knew the answers, God still loved her and God would meet her needs. Lovingly, she taught her children and grandchildren of God’s ways and provision for them. Life on an island taught Sarah the significance of lighting the way for her loved ones as they made their way home from the fishing grounds on a foggy night. Now, from the stories of her life, Sarah Maude was reaching down through the generations and is lighting the way for me, for my daughters and my grandchildren, to discover the faith that had held her steadfast through life’s storms. Her legacy is faith and courage. What a heritage! Elaine Ingalls Hogg is an inspirational speaker and award-winning author who lives near Sussex, NB. 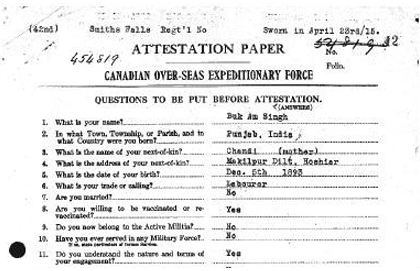 Just a few years ago, historian and documentary filmmaker, David Gray, uncovered the Canadian Sikhs of WWI. Read about the "little story in a big war" here. 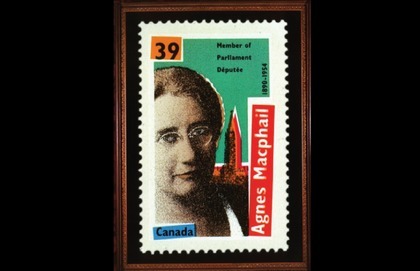 Agnes Macphail was Canada’s first female member of Parliament. She, a radical, believed in thinking anew about collective problems rather than reverting to outmoded prescriptions.